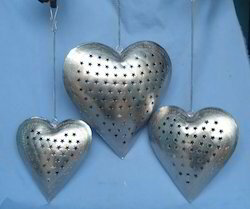 Set of 3 T Lite Hearts In Iron Nickle Plated. Silver , Pewter , Antique and painted finishe available. Competitive prices with custom sizes can be done. 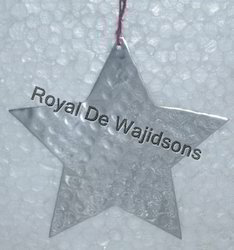 The christmas decorative item we offer is manufactured from optimum quality material. Widely acknowledged for durability and vibrant colors, our christmas decorative item is used to decorate interior, exterior and christmas trees as well.